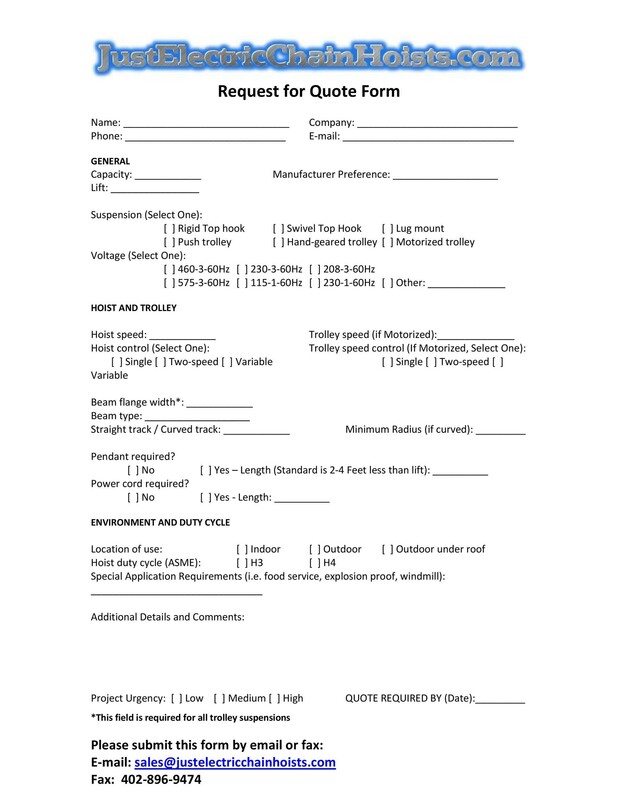 A request for quote also known as an RFQ is a type of documentation where an entity asks for a quote from vendors for the completion of specific projects of tasks. 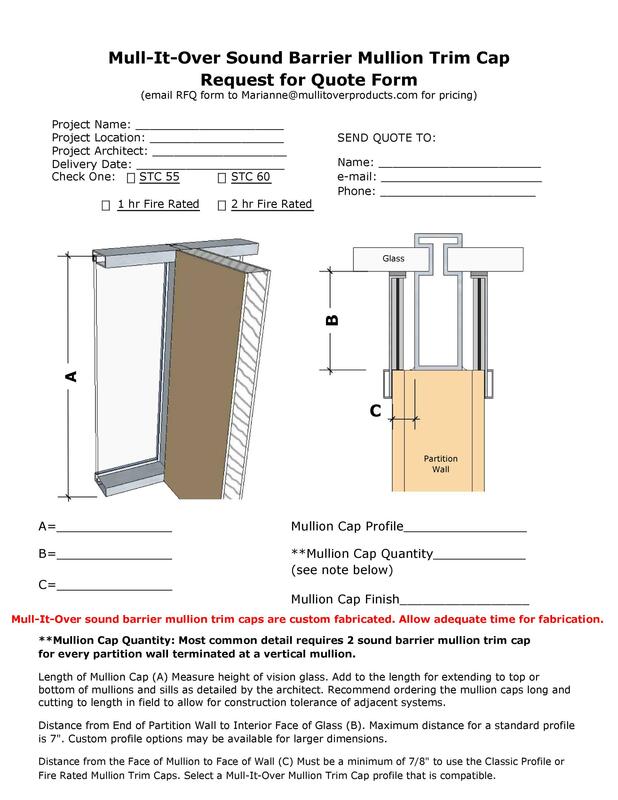 The request for quote template provides all of the information about the requirements of the project. In it, the vendor would itemize the costs for each stage of the project. 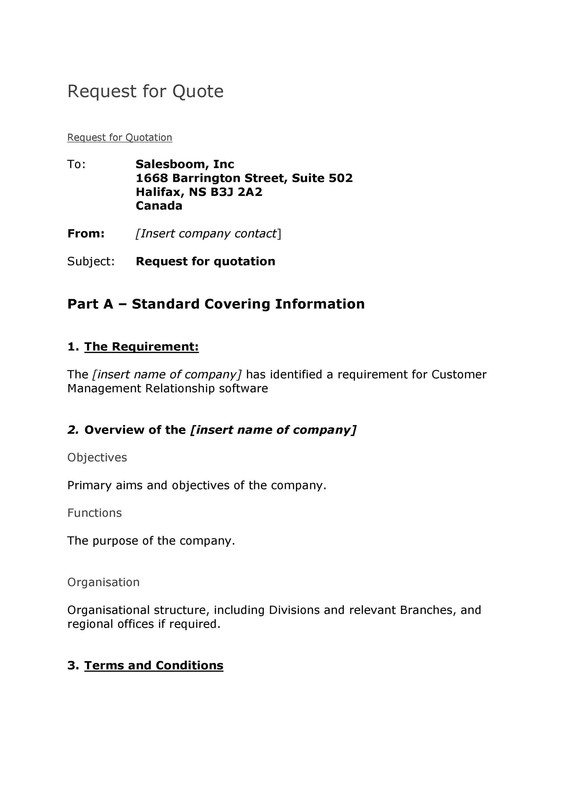 This allows the entity who asked for the document to compare it with the other bids from different vendors. 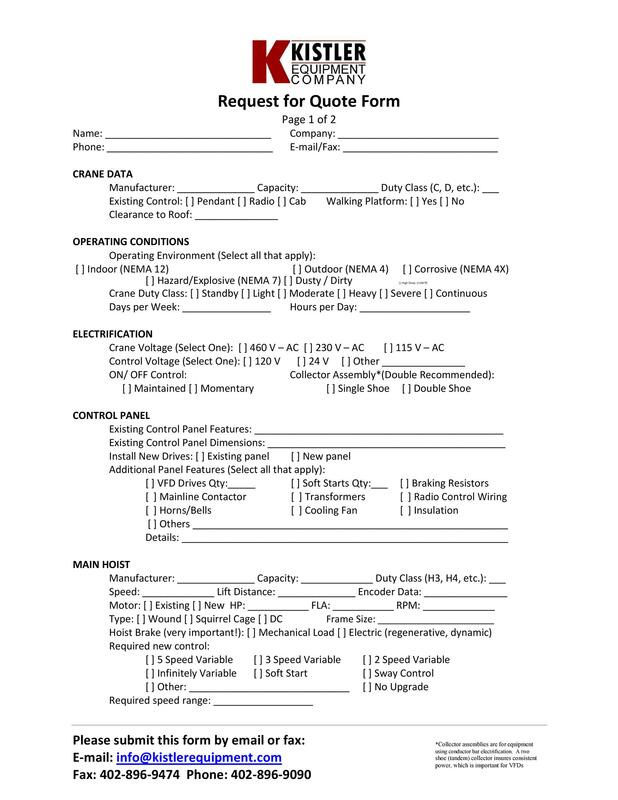 2 What is a request for quotation document? 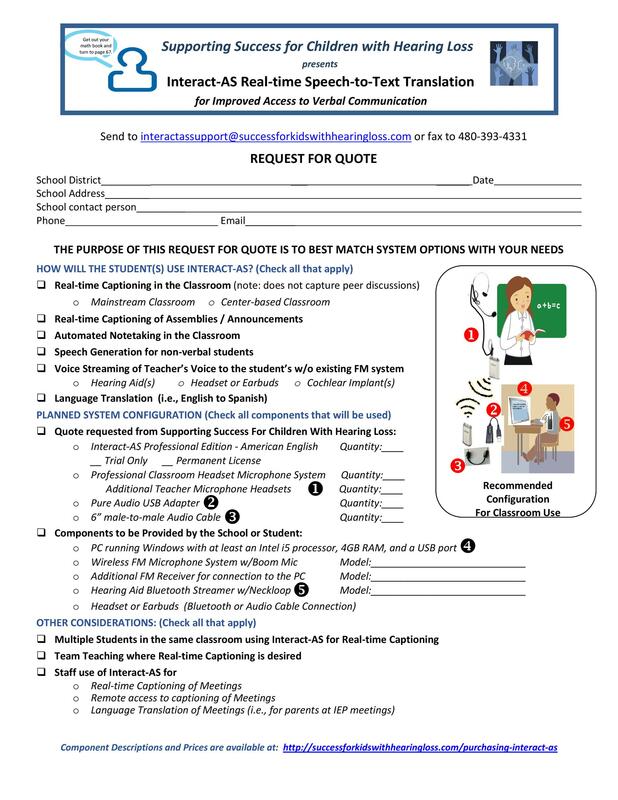 4 When to use a request for quote? 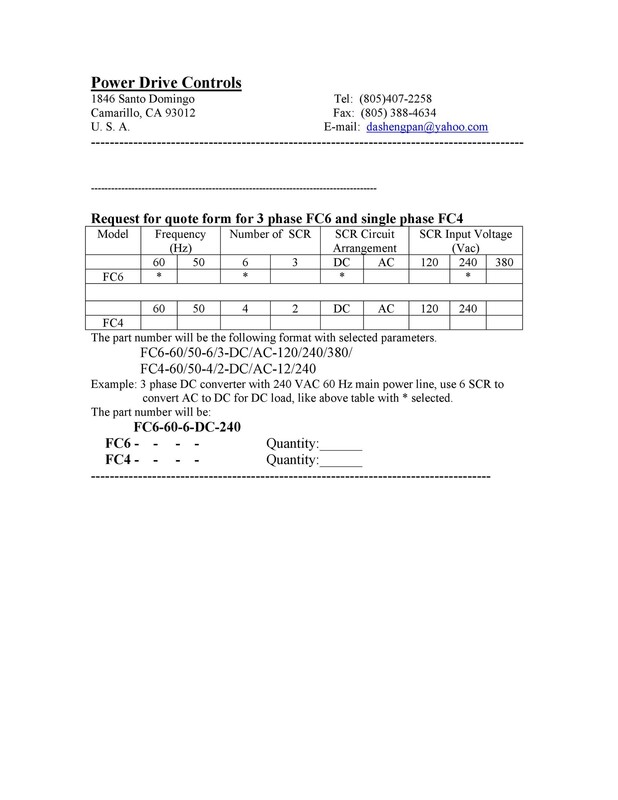 5 What is the RFQ process? 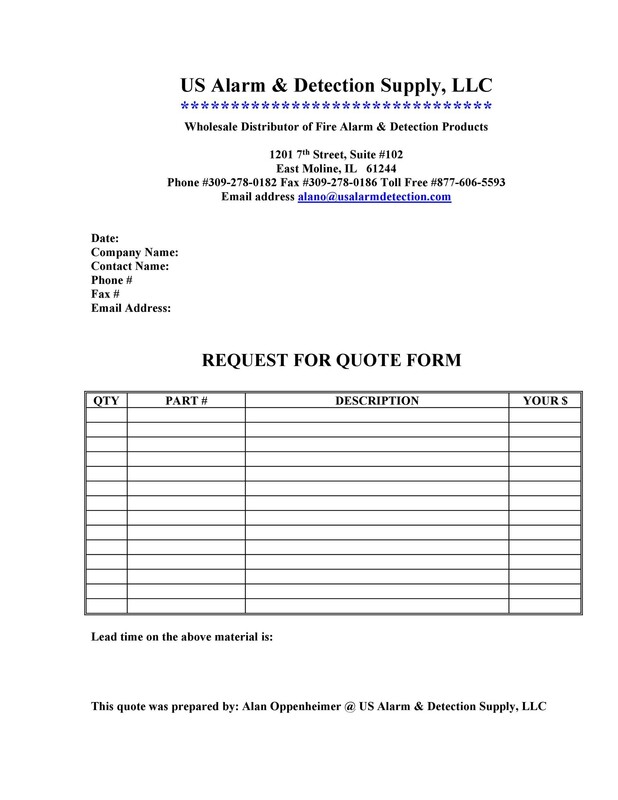 What is a request for quotation document? 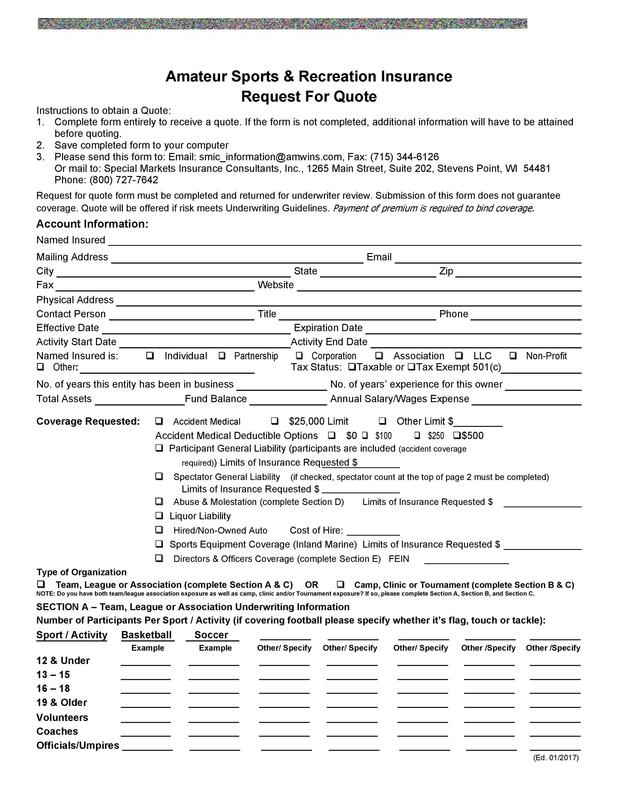 When a soliciting company knows exactly what quantity and quality of services it needs, it will ask for a request for quote template from different vendors known as bidders. 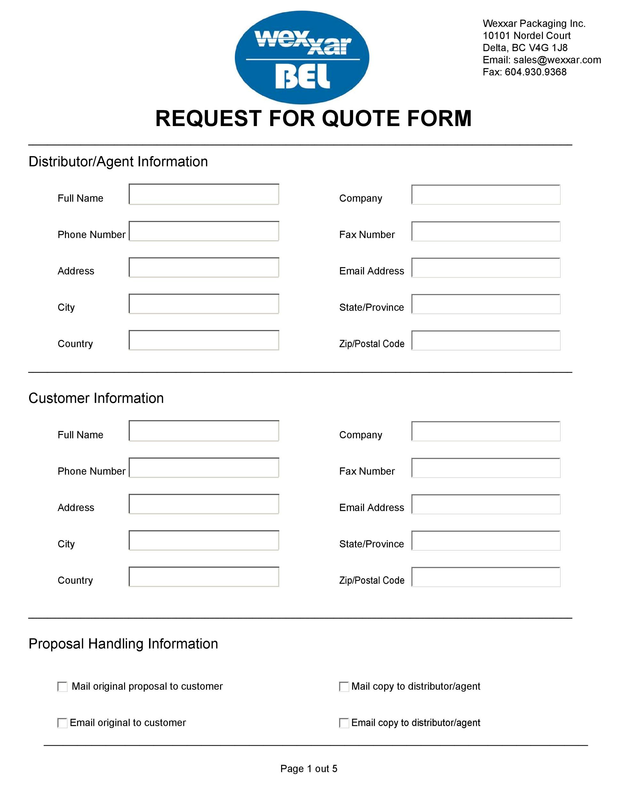 Companies would utilize an RFQ template to acquire off-the-shelf services or products. 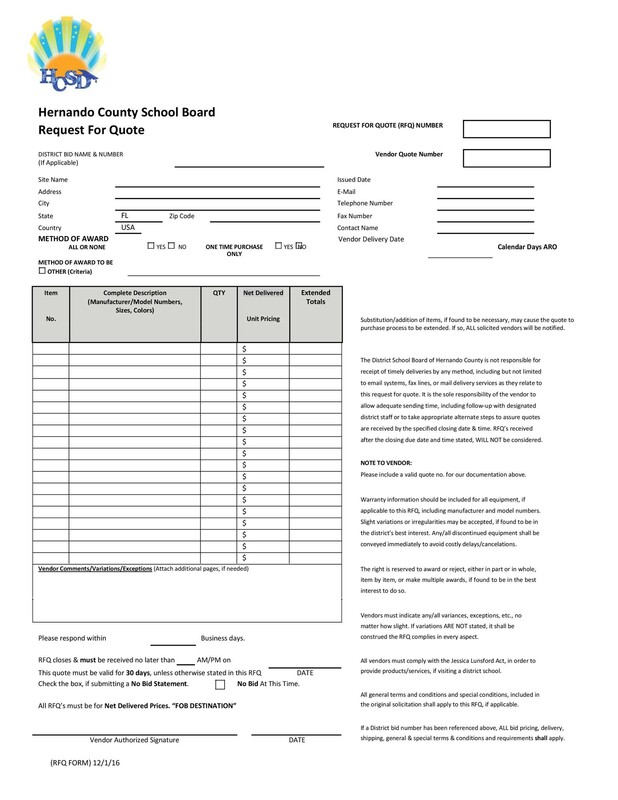 The use of such a document would allow the soliciting company to compare different bids from a wide range of suppliers easily. 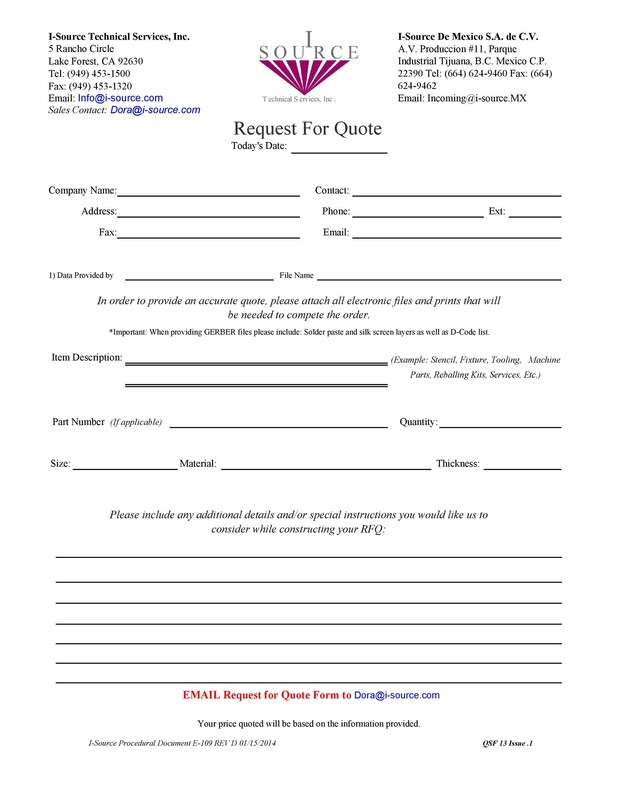 When needed, a soliciting company will send a request for quote to many vendors requesting to give their pricing bids. For instance, a company wants to purchase 300 computers with specific processing speeds and hard drive sizes. 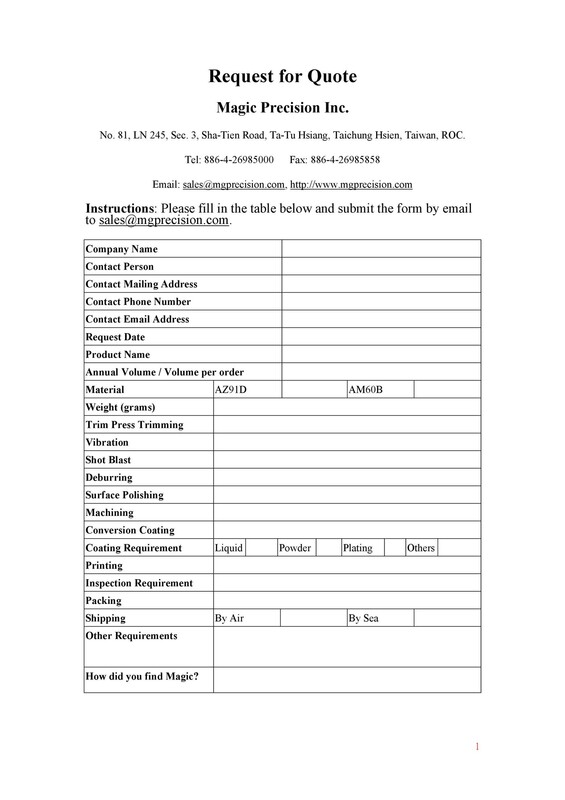 The company would then have to make an RFQ template and send it to different suppliers. 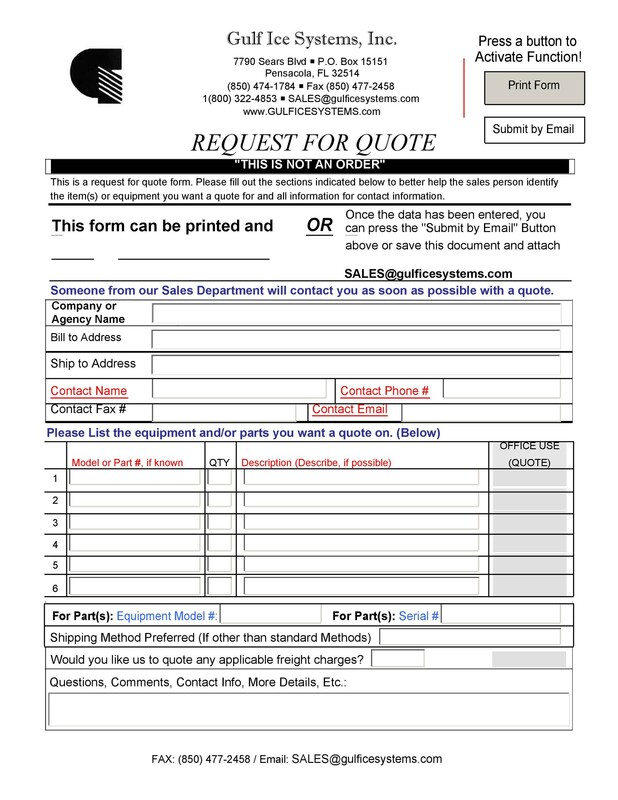 Since they need a specific type of product, it’s easier for them to compare the quotes that they receive from the bidders. 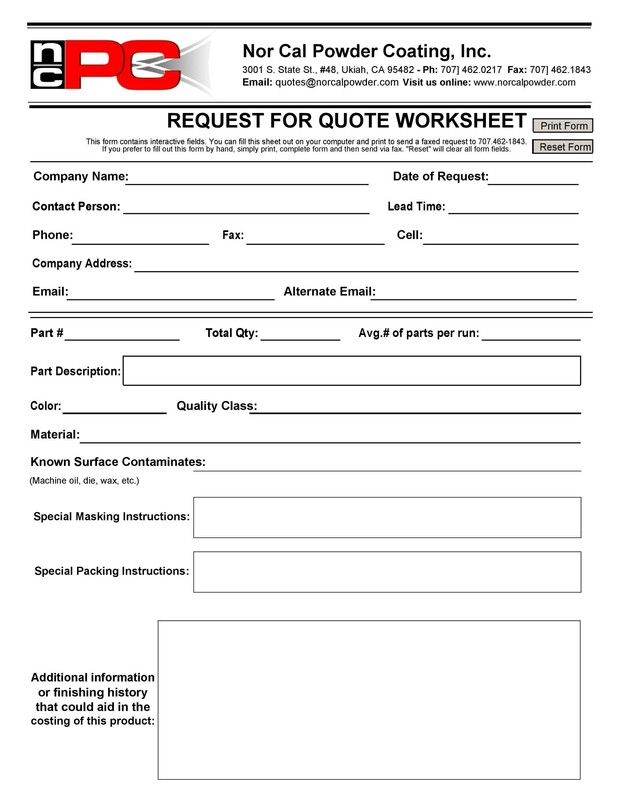 Typically, a request for quote template contains four sections. 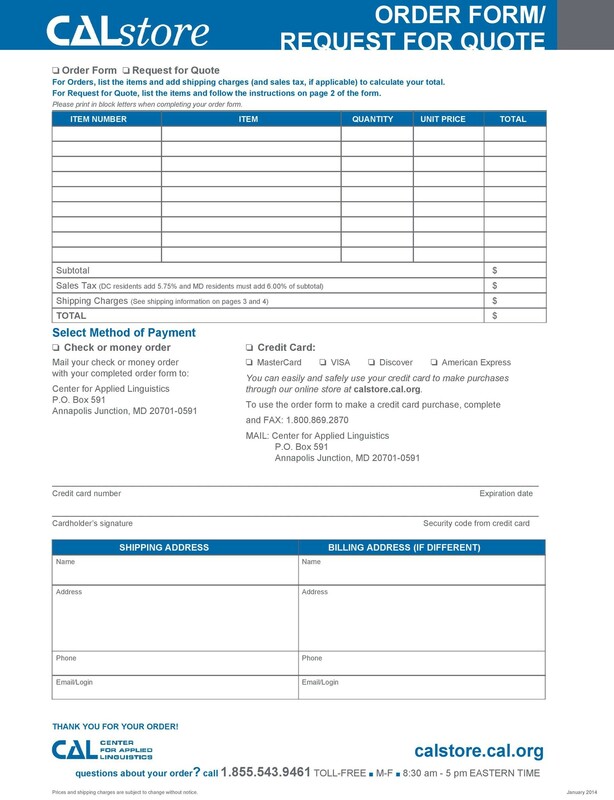 It includes the terms of payment, the factors which will influence the selection of the bid, a deadline for the submission of the bid, and other relevant information needed for the bid consideration. 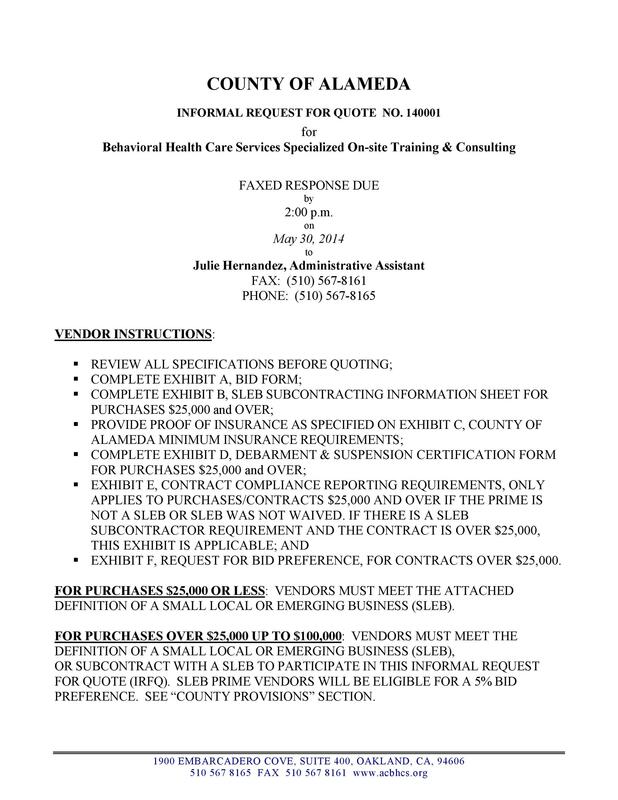 After considering all of the quotes given by the vendors, the soliciting company will award the contract to the rightful vendor. 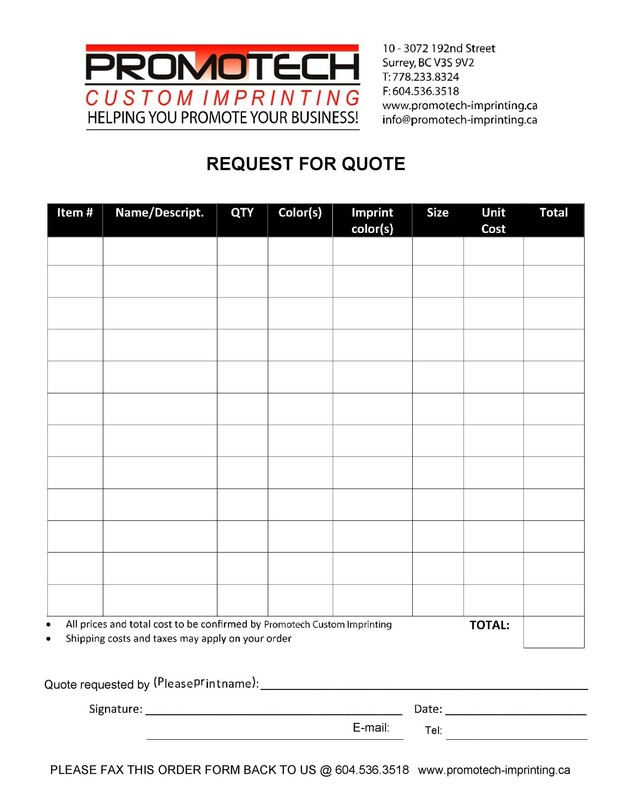 When to use a request for quote? 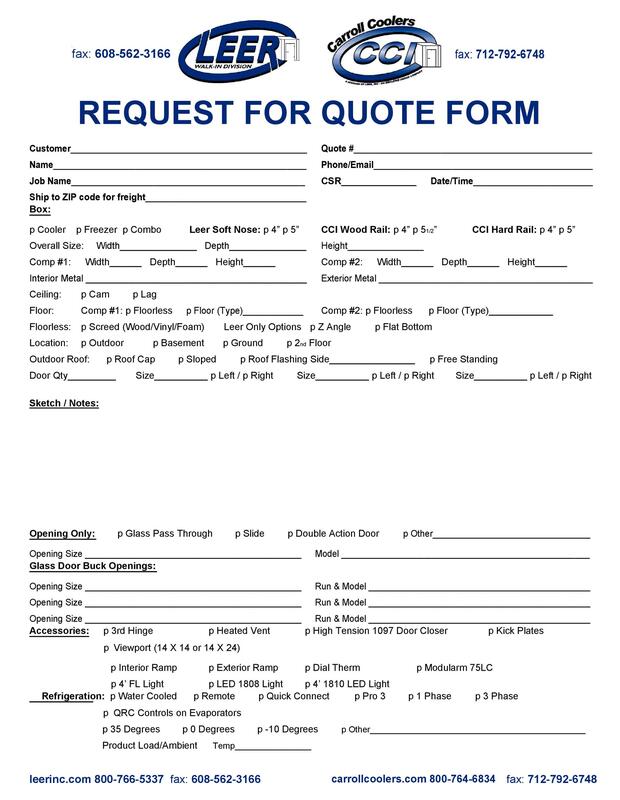 Making use of a request for quote form makes the process of solicitation easier and more efficient. 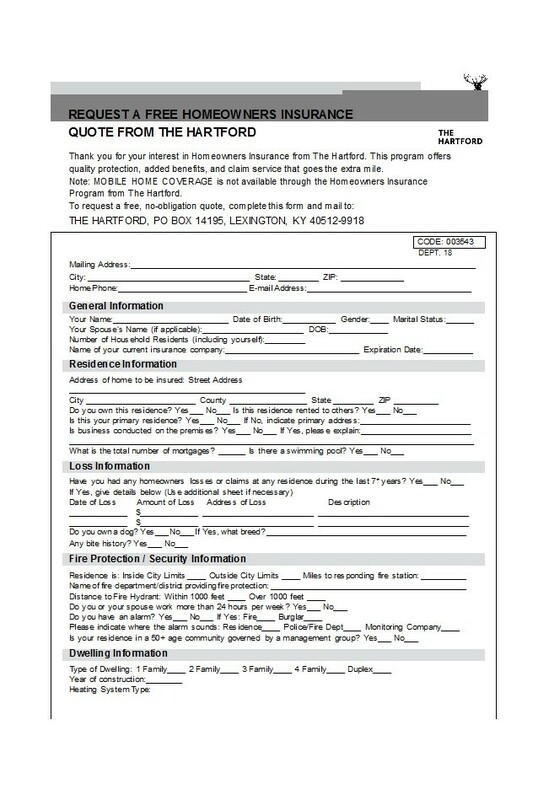 This is because the soliciting company would only receive a few responses which include the quotes or estimates from the potential vendors. When you’re considering fewer quotes, this means a reduction in the evaluation time. You would only have to consider the quotes provided by qualified bidders compared instead of from a pool of both unqualified and qualified bidders. 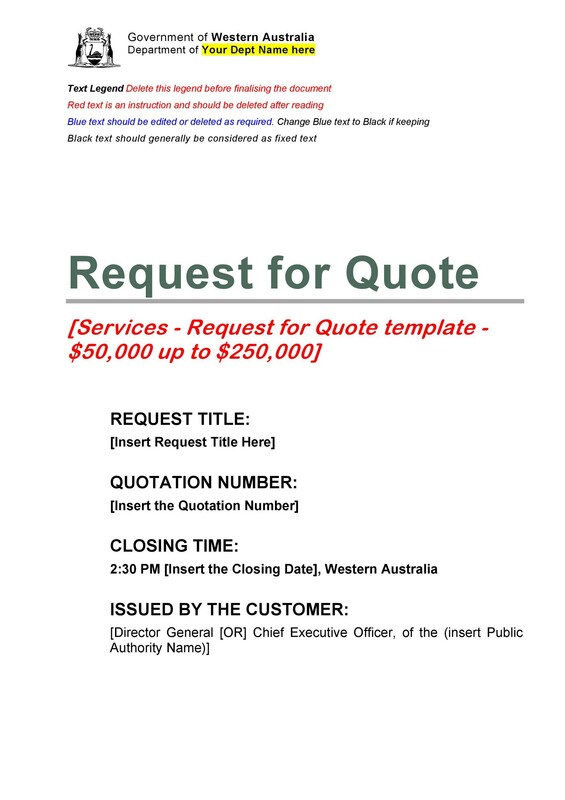 A quote which you have received in response to the request for quote you’ve given isn’t considered an offer. This means that you can’t use the document as a binding contract. It only contains relevant information which you may use to make a choice regarding which bidder to go with for your needs. 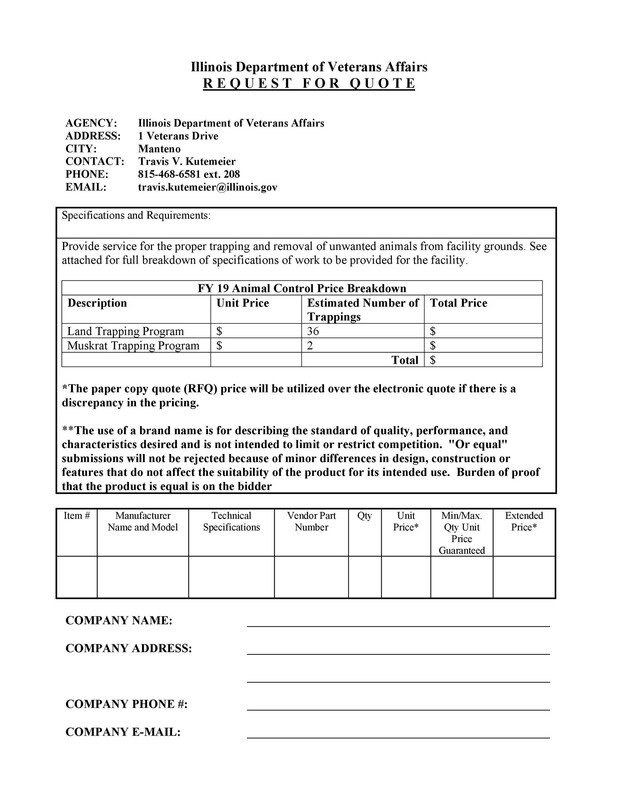 What is the RFQ process? 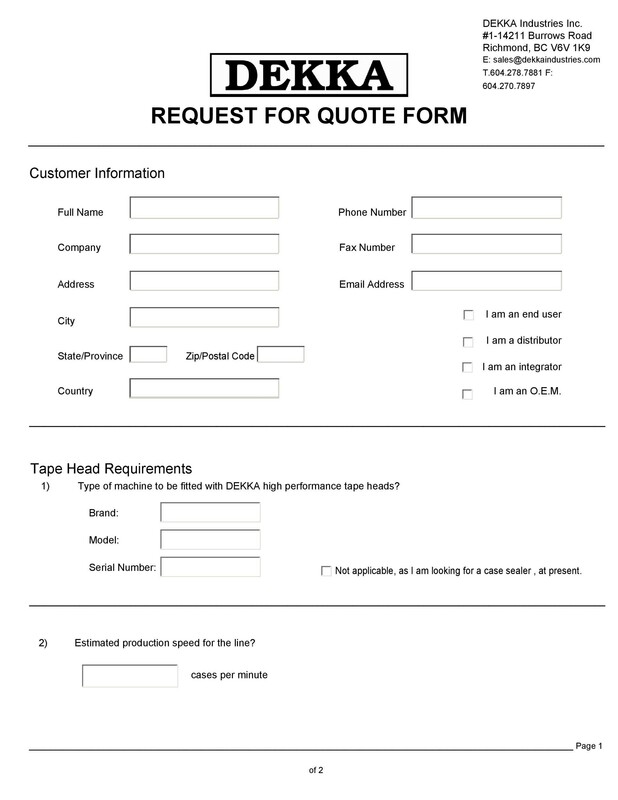 This is the first and the most significant part of the RFQ process, therefore, you should never hurry this step. Throughout the whole process, you should spend at least half the time on this phase and the other half on the other 3 phases. 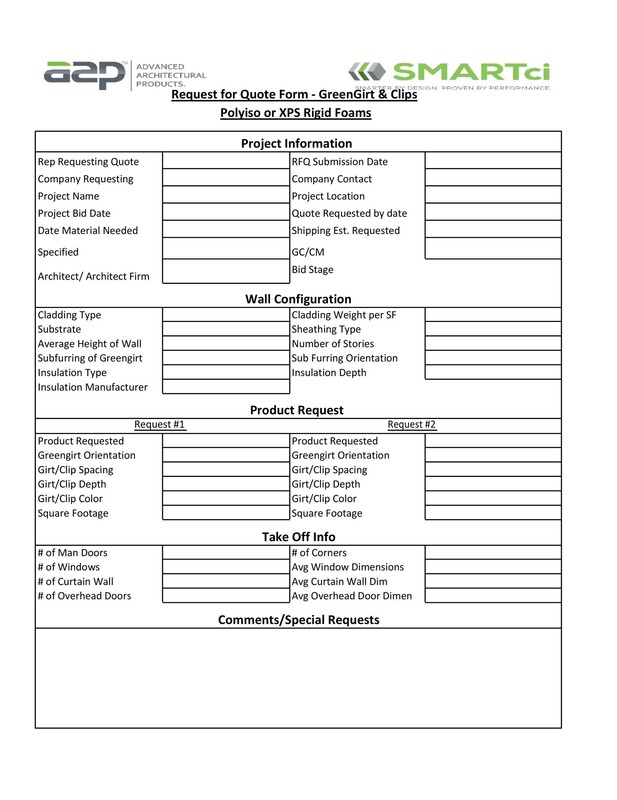 During this phase, you need to be able to visualize the entire RFQ process from beginning to end. Having this “big picture” in your mind will help you focus on your final goal. 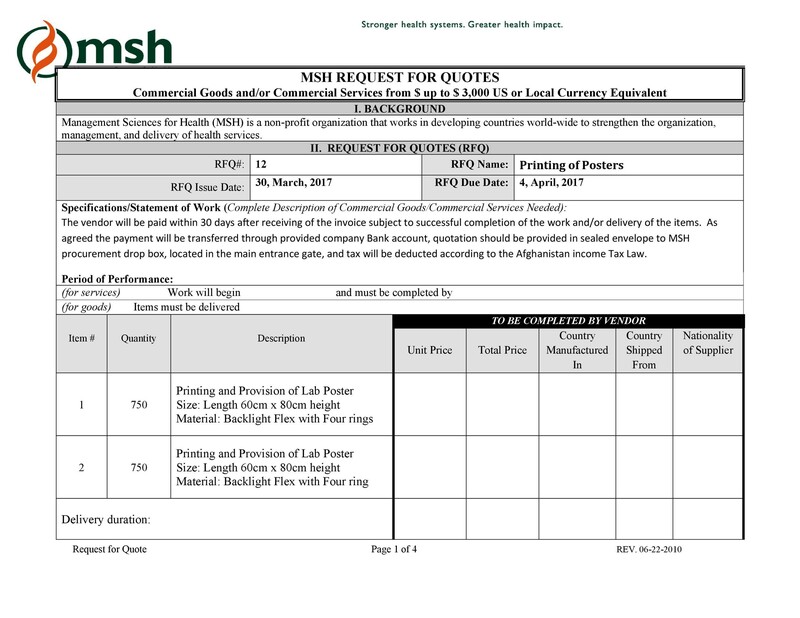 There are different types of RFQs such as invited, open, reverse auction or sealed bid. 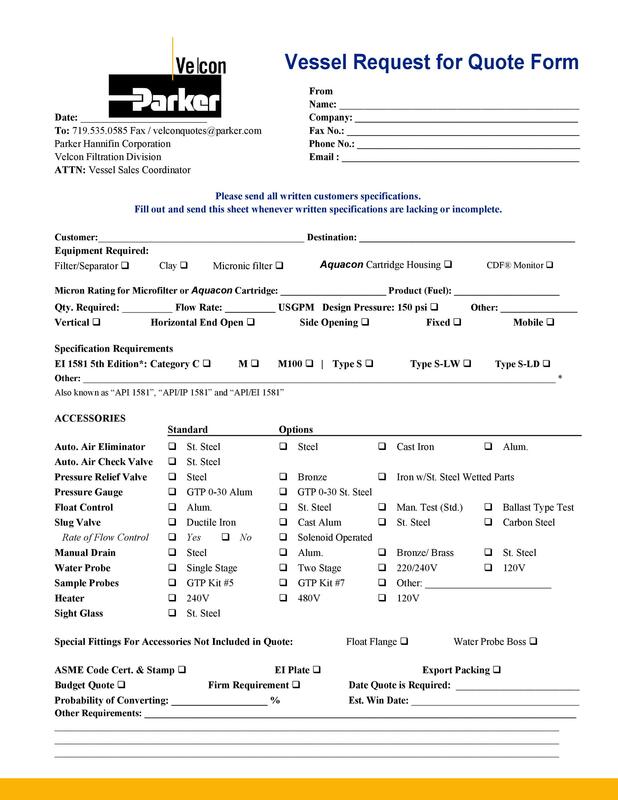 Most companies run their RFQs by inviting only the suppliers which they have prequalified. Usually, you would only invite 3 to 8 bidders depending on the category. 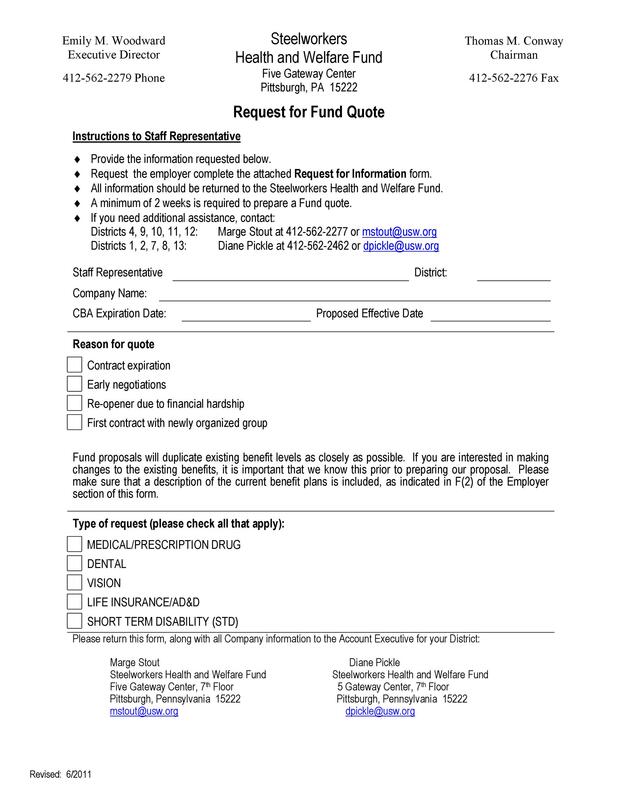 An invitation along with a description of your company, the projects, and other relevant background information. 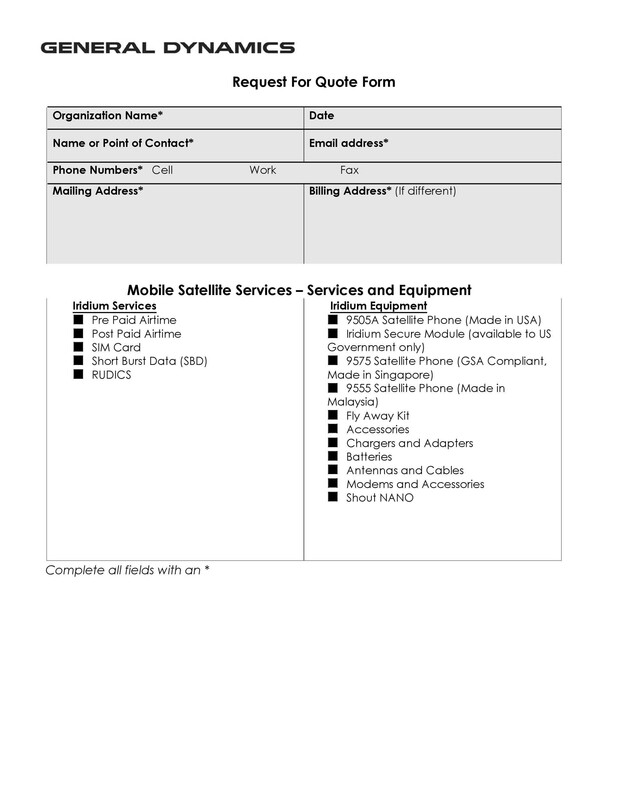 Also, lay out the purpose of your RFQ in this document clearly. The general terms and conditions to give the bidders a structure to follow when they’re thinking about placing a bid. Clearly state whether the bidders can negotiate the terms or not. 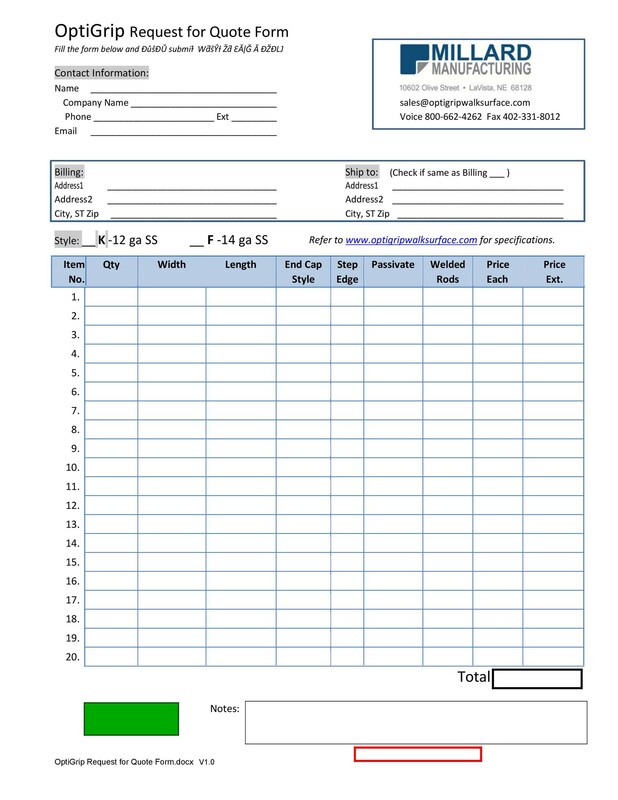 A pricing template for the bidders to follow. 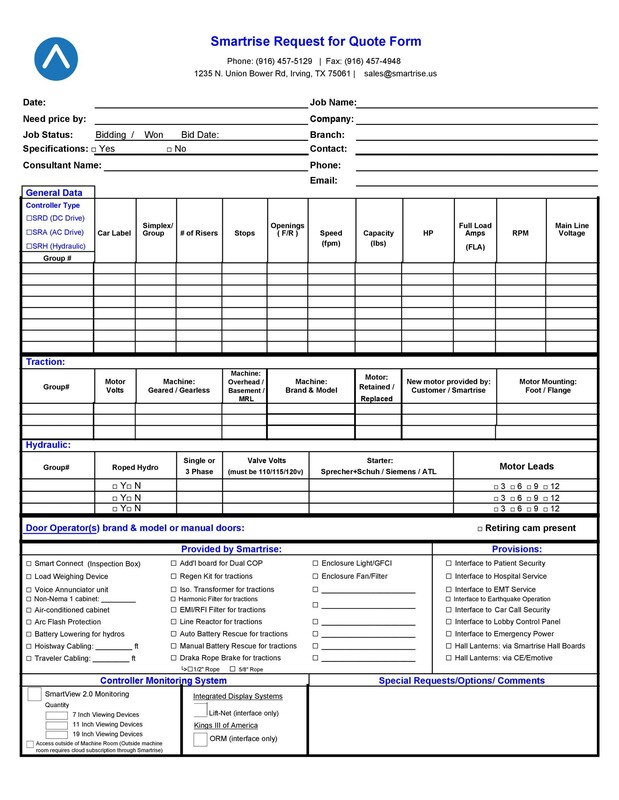 Providing this document will make it easier for you to compare the quotes and determine which one would be the best choice for your company. 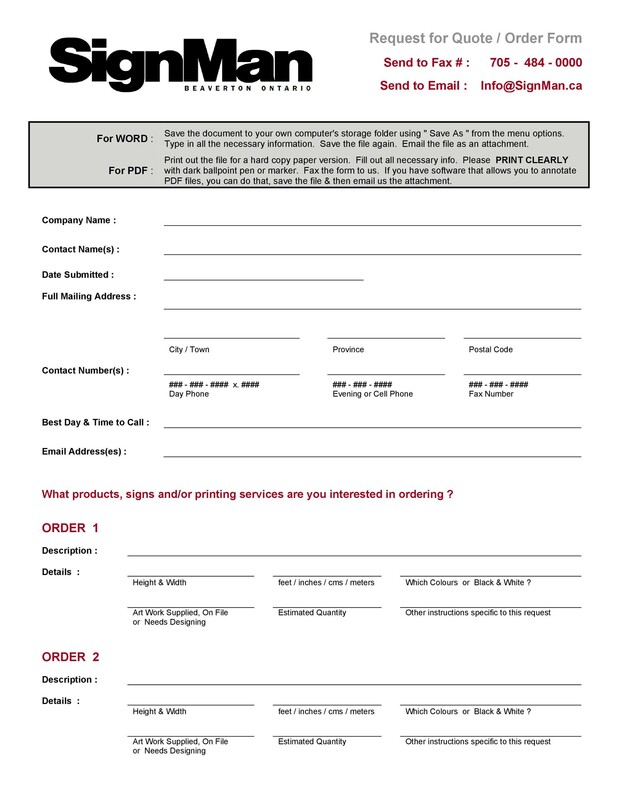 If you think it’s necessary, you can also place a request for the suppliers to divide the prices of their products or services into the cost elements. 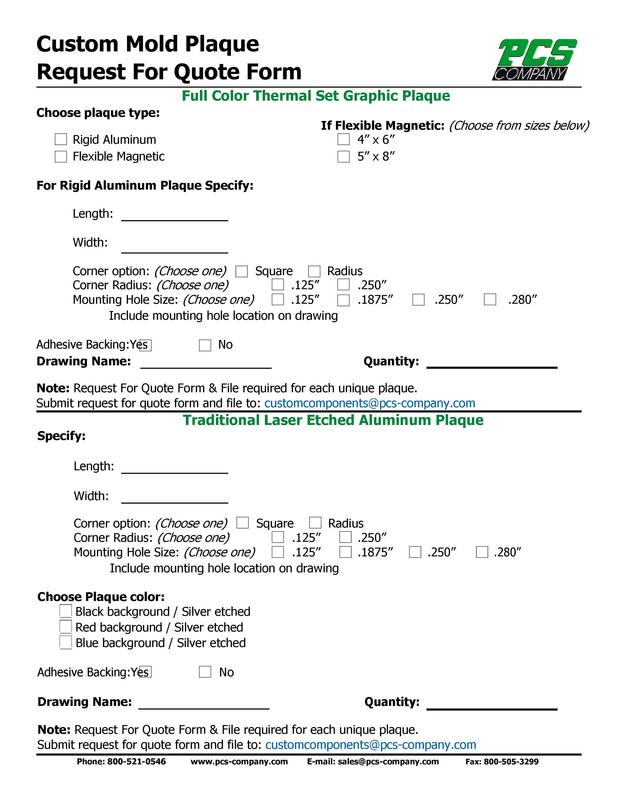 Just make sure to define the price breakdown of these cost elements in your pricing template. 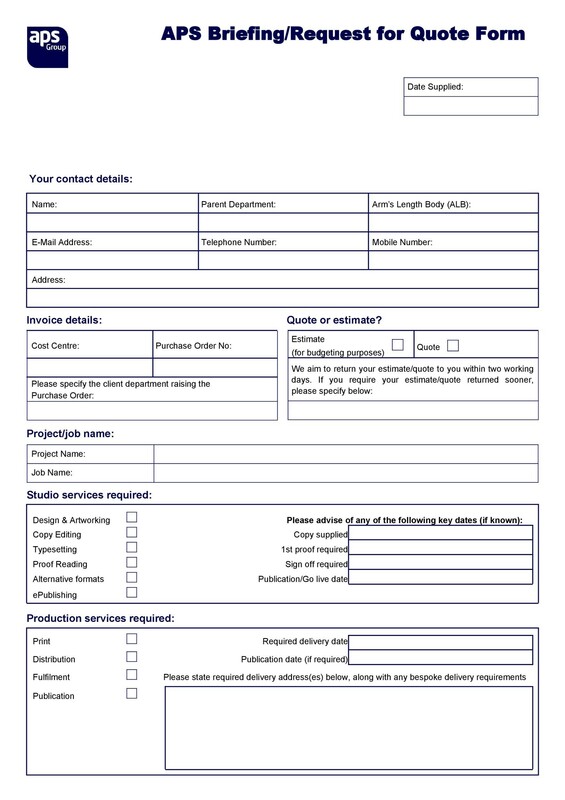 A questionnaire along with the requirements for pre-qualification. These are important so your bidders know the exact qualifications they need to meet so you will consider them and their offer. 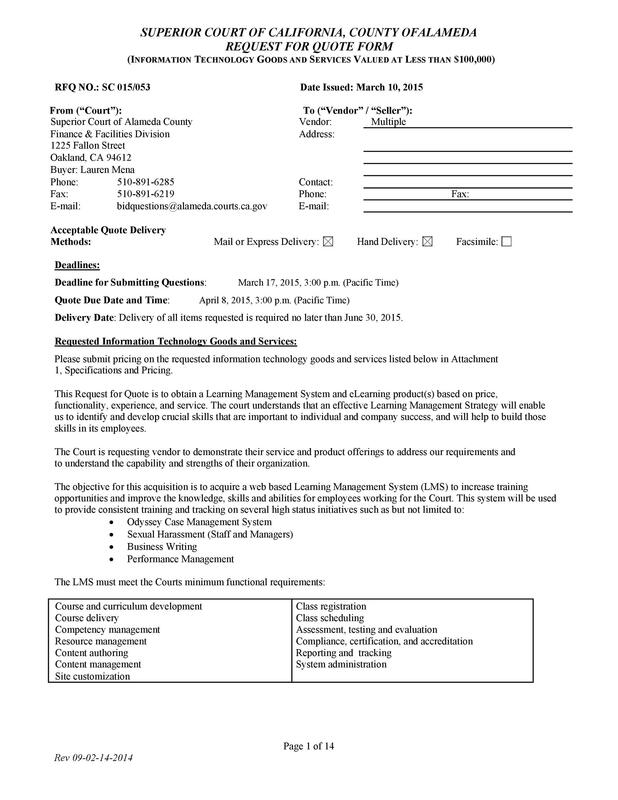 Again, the requirements for pre-qualification may vary depending on the category. 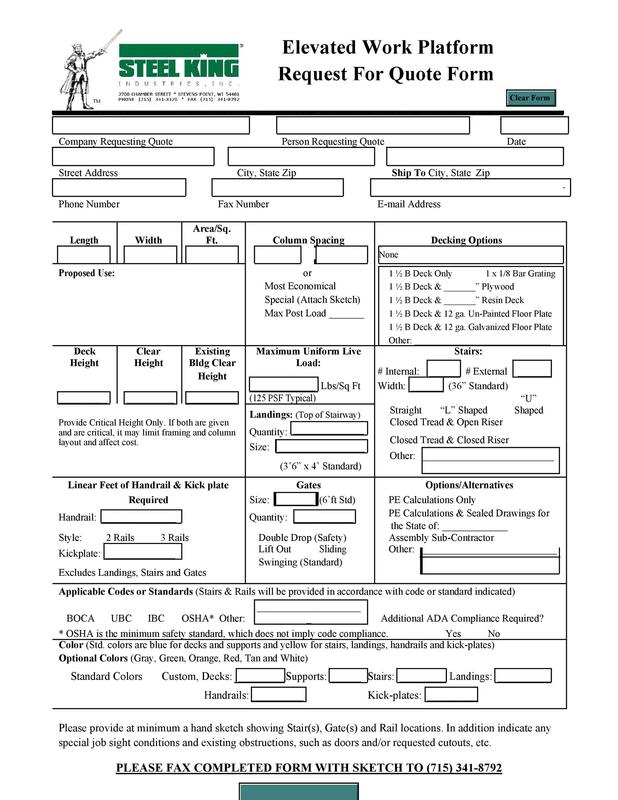 The awarding selection weights and criteria. 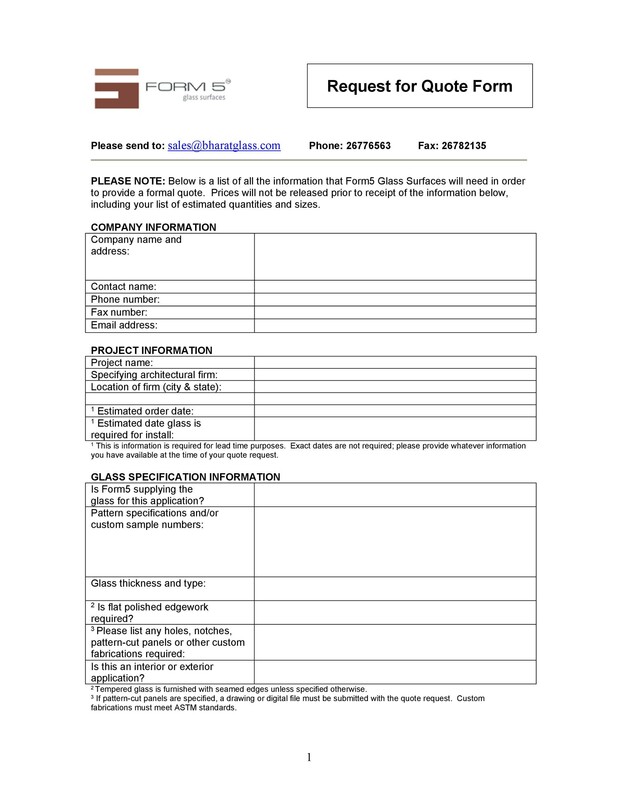 You want to maintain transparency throughout your RFQ process. Also, you want the participants to understand the process easily to avoid confusion. Therefore, you need to include this information to make all the bidders aware. 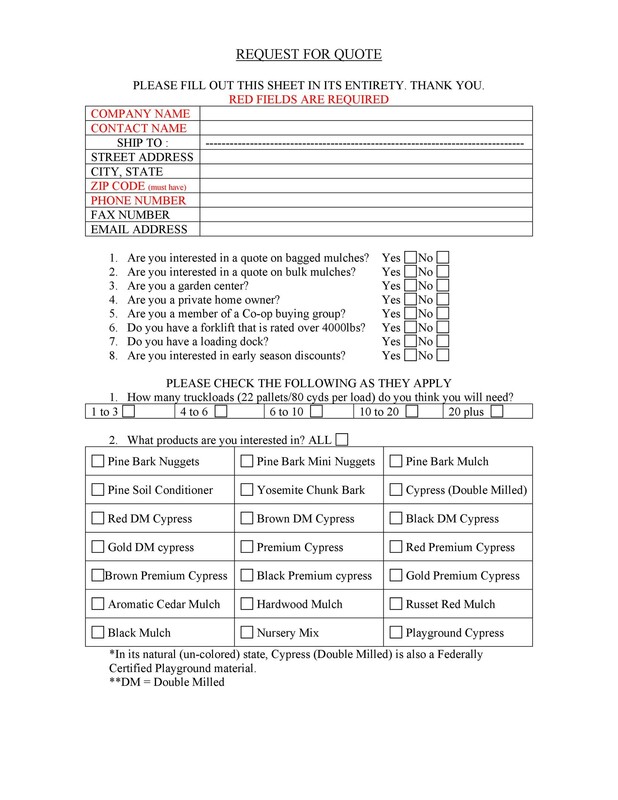 Distributing this information can also help reduce any disputes which may arise after you’ve picked a winner. 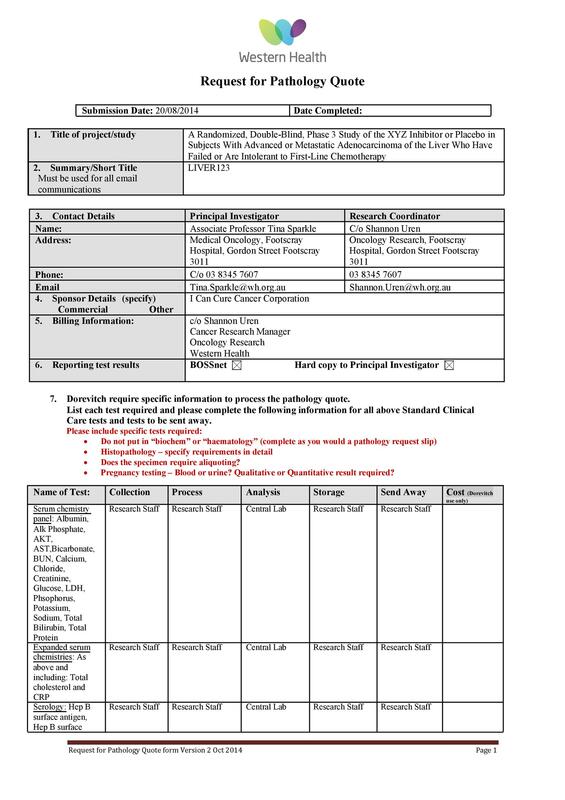 After putting together all of the documentation you need, you can now send the whole bunch of RFQ documentation to the potential participants. 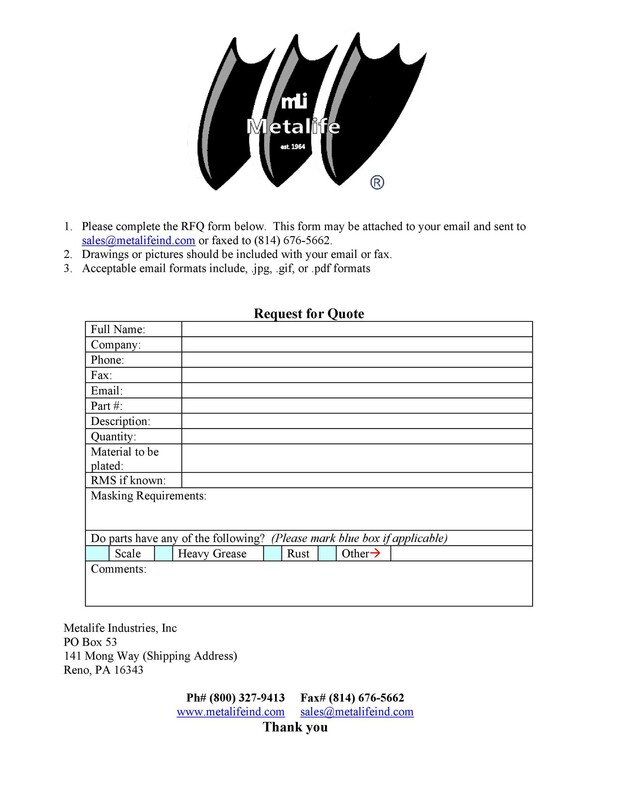 During the whole RFQ process, make sure to treat all of the participants equally. This means sharing all of the same information with all of them and asking the same questions to all of the participants. Never leak any relevant information given by your bidders as this is against professional ethics. 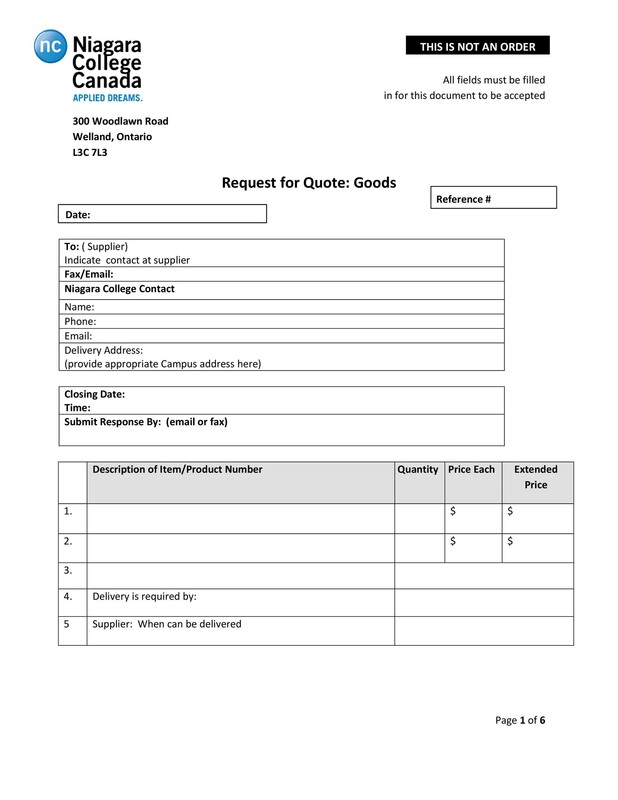 If you want to ensure total confidentiality, there are some types of e-procurement systems which have a “sealed bid” functionality which prevents anyone from seeing the completed bids. Then the bidding system will only become public after the deadline has passed. In cases where you haven’t reached the price targets you need in the first round, you may choose to have a second round which is also known as a reverse auction. This time though, you would only consider a smaller number of participants. But this time, you should provide the participants with your price target to give them a better idea of what you’re looking for. 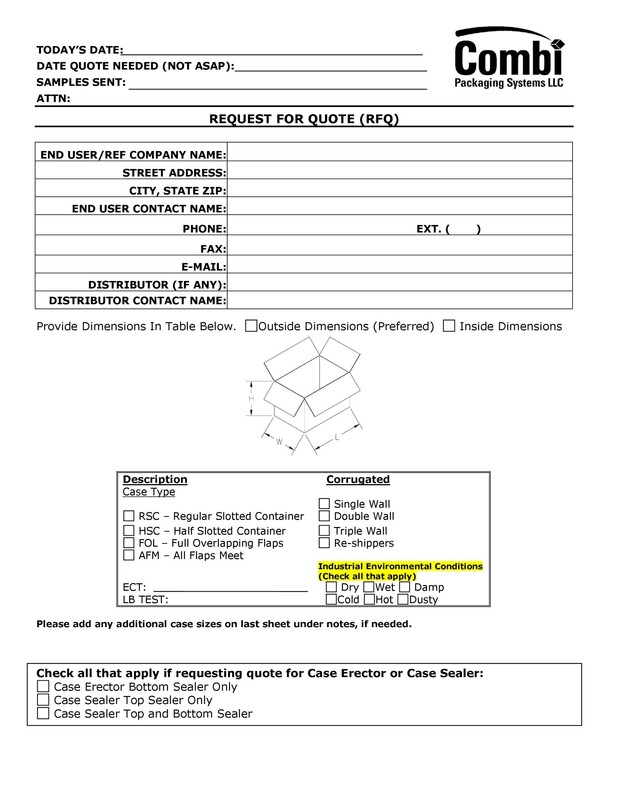 This is the next most important step in the whole RFQ process. During this phase, you have to decide about which bidder you will choose. At this time, all of the effort you had placed into the preparation phase will become very valuable. If you provided the bidders with a pricing template, then it’s easier for you to compare the bids with one another. When making the final decision, it’s best to involve a group of people rather than deciding on your own. For instance, you can invite some of your internal stakeholders and allow them to use predefined criteria to award the bid. Compose a memo which includes the information on how many bids in total you received, how many of those were the qualified bids, your reasons for disqualifying any of the bids, the awarding criteria, how each of the members of the awarding committee voted, and the final decision. 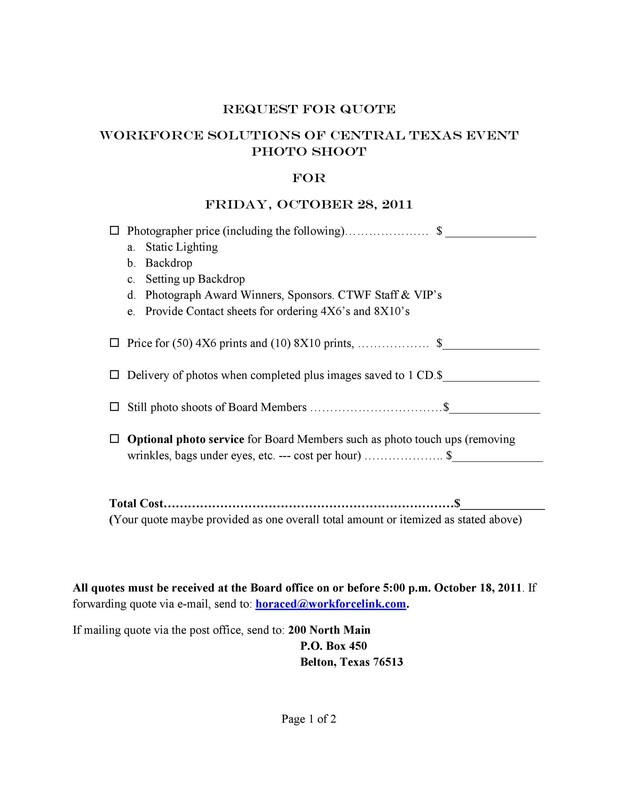 After you’ve chosen the final bidder, contact them and set a meeting. 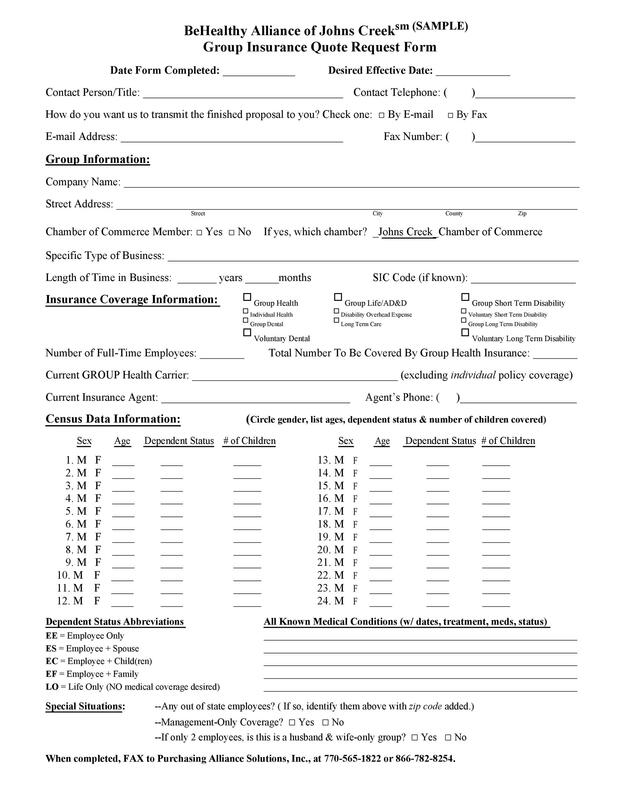 During this meeting, you can finalize the details, close the deal, and sign the written contract. 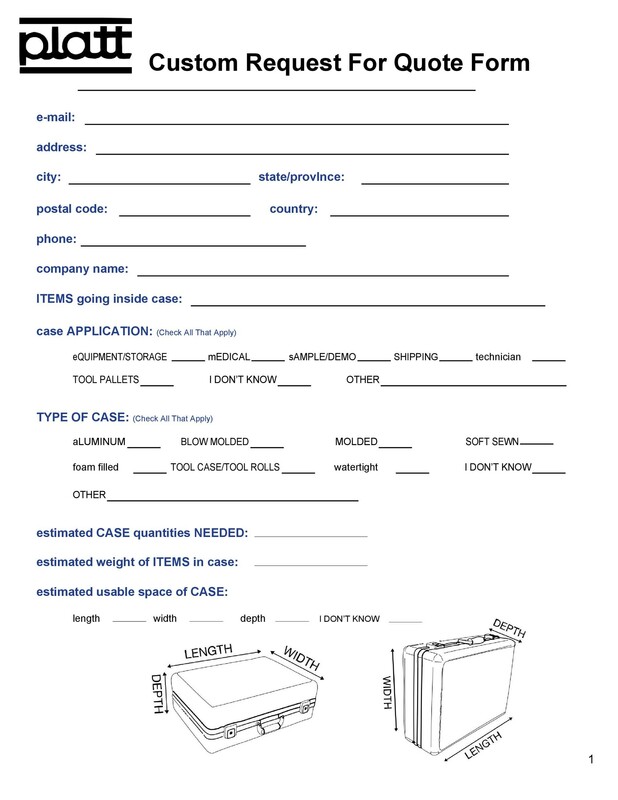 If you included all of the relevant documents in your RFQ documentation, this phase shouldn’t be too complicated. If not, you might have to undergo some negotiations before you reach a final agreement. It’s a good practice to inform all of your participants about your choice and not just the bidder you chose as the winner. However, you should only share the news after the closing phase, and you’ve already signed the closing contract. In doing this, you can keep your options open until you’ve come to a final agreement with the best possible conditions for you and the bidder. 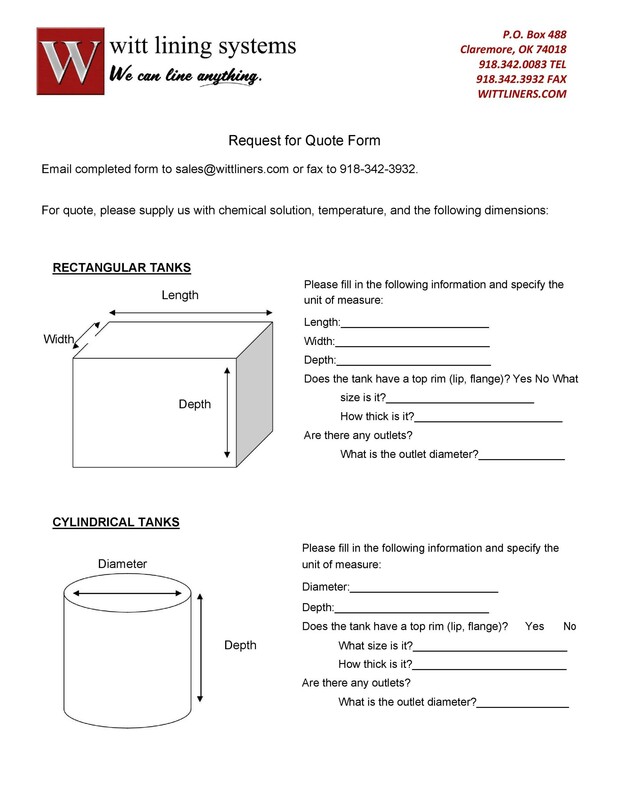 An RFQ template has a lot of benefits. 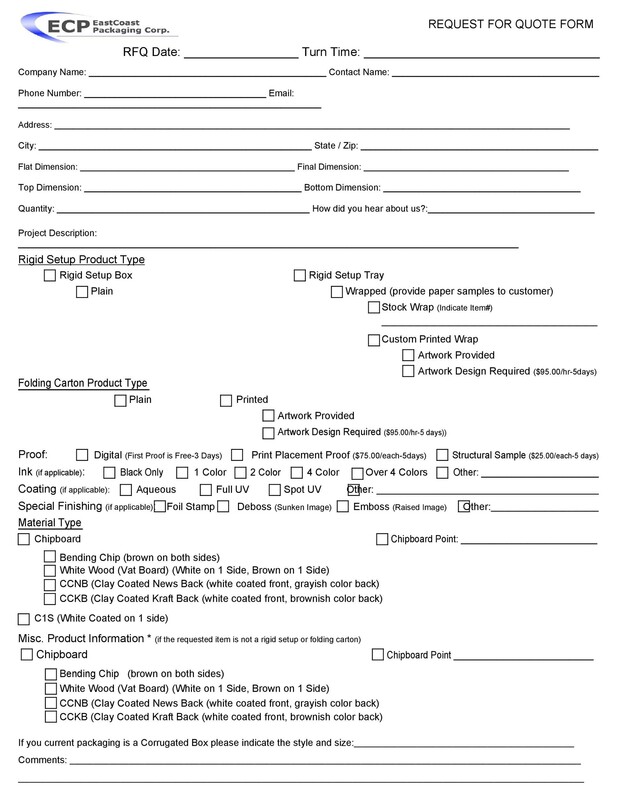 However, this document also comes with a couple of downsides which you need to know about. 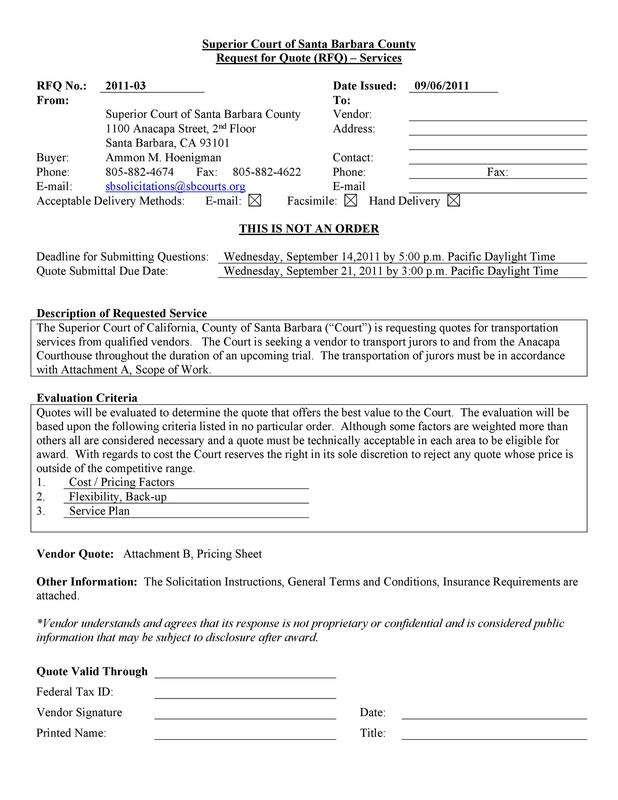 For one, since the soliciting company will select the bidders, this limits the competition. This, in turn, may result in a few irregularities because of the selective responses. Also, selective requesting may lead to the exclusion of certain vendors and companies. For instance, even if you sell the same service or product but at a lower price, soliciting companies might not even contact you for an RFQ. 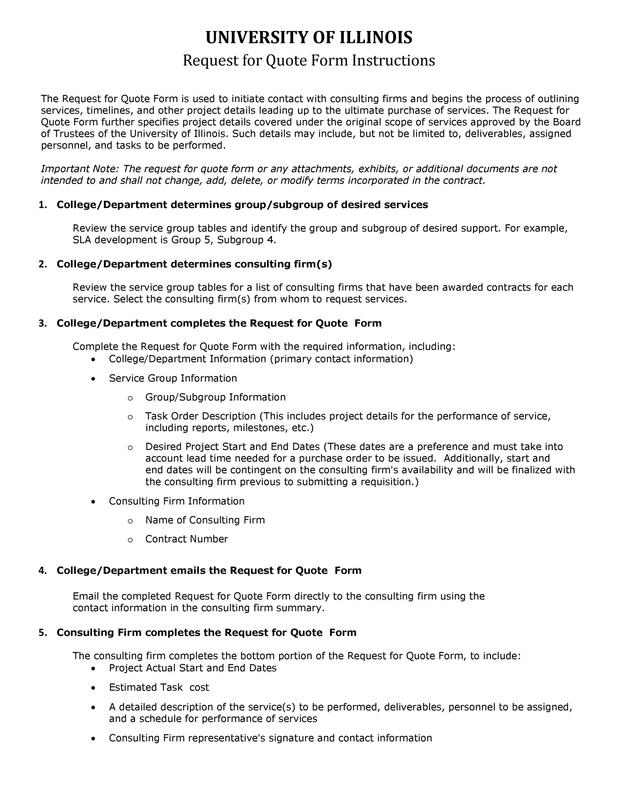 As aforementioned, a response to an RFQ doesn’t serve as a binding contract. You need to be very careful when dealing with the bidder. 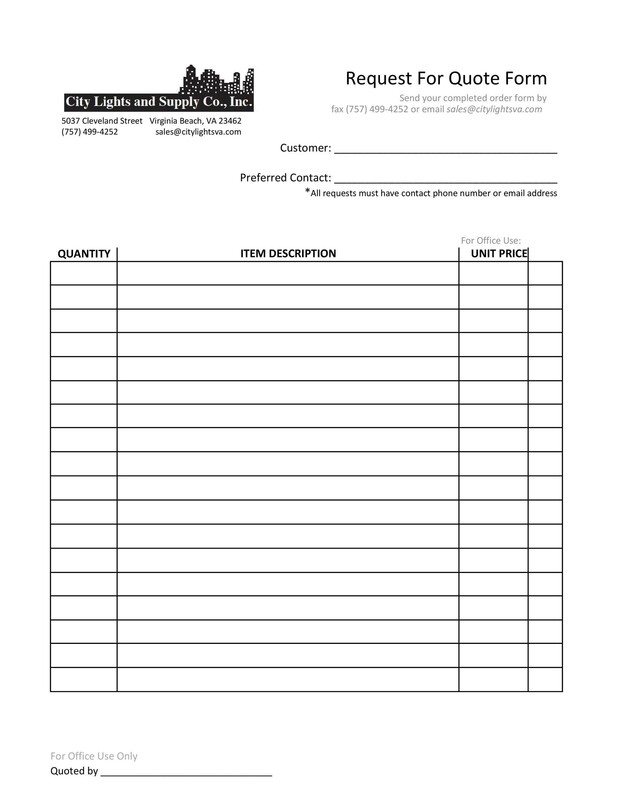 If you choose a bidder, make sure to come up with a contract or a purchase order that both of you will sign. 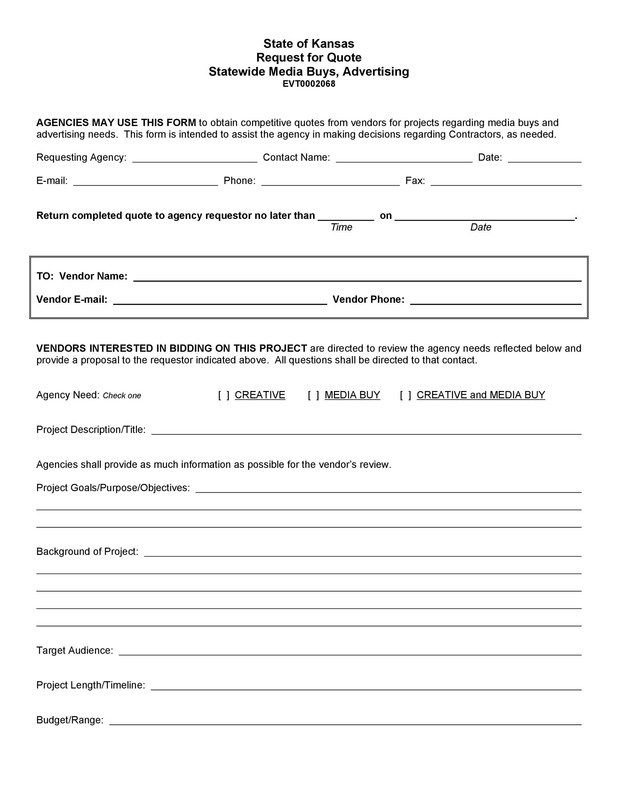 Just because the bidder you want to choose has responded to your RFQ, that doesn’t mean you have a done deal. 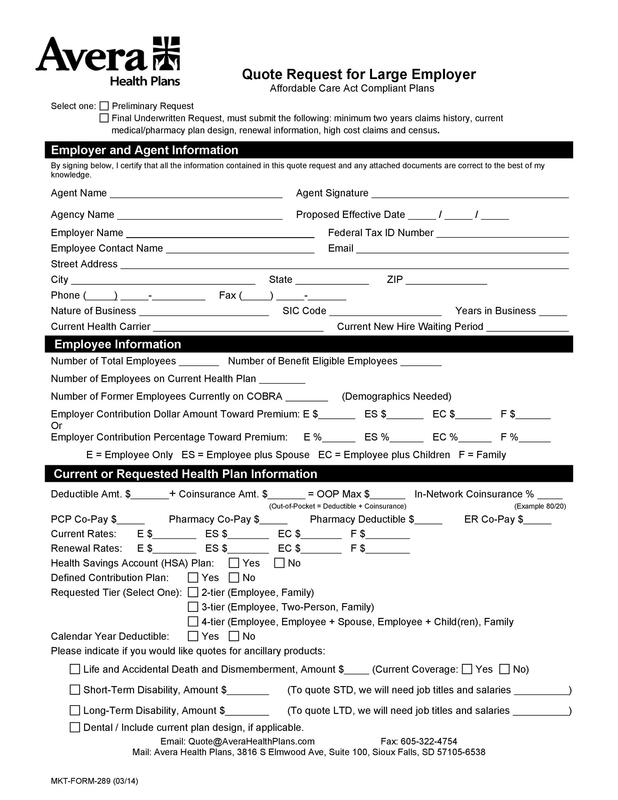 Finalize the contract first, get everything in writing, and get the signature to close the deal officially.